FFC is back! New exciting season kicks off with Ben Egli’s first title defense. After a longer winter break, one of the world’s best fighting sports promotions is back! 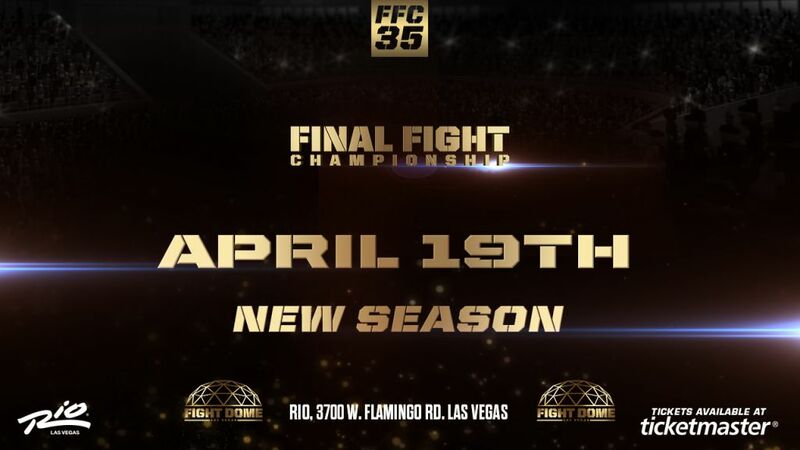 Final Fight Championship is busy working on its new event that will take place April 19 at Fight Dome located at Caesars Entertainment’s Rio Las Vegas. FFC 35 will be a unique multi-discipline event featuring Boxing, Kickboxing and MMA. The main event features welterweight title bout in which FFC champion Ben Egli of Tigard, OR, defends his belt for the first time. Ben Egli won the belt at FFC 31 in October 2018 when he lived up to his reputation as an expert submission artist by choking out battle-tested Roberto Neves at the 3:21 mark of the first round. Egli won the fight by rear naked choke, something he has done a total of five times in his pro MMA career. For more information about Final Fight Championship, please visit finalfightchampionship.com, Facebook at Facebook.com/FFCFighting, and Follow FFC on Instagram @FFCFighting.